Polly Vernon, a columnist for The Guardian describes the physique of male super model David Gandy as "extraordinary" and adds that it's " ... Elegantly proportioned, classically lovely, rigorously maintained. It is athletic without being pumped. It's clean and fragrant, but only to a post-metrosexual degree." Gandy is undeniably attractive and has for the last decade built his brand in the fashion industry. 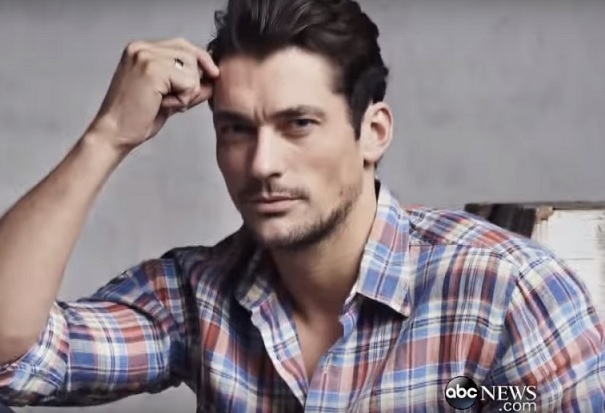 ABC News has this interview and profile of Gandy's career. They cover his early years and subsequent success as a male fashion icon.